The trial began in August 2012 and was conducted on 132 days. Several judges changed during the trial. The last one — Additional Sessions Judge Jagdeep Singh — was allotted the case in August 2018. Concluding that the NIA “failed to prove the charge of conspiracy” in the Samjhauta Express blast case that left 68 people, mostly Pakistanis, dead in February 2007, a special court in Panchkula Wednesday acquitted all four accused including Naba Kumar Sarkar alias Swami Aseemanand. Emerging from the court room, NIA counsel Rajan Malhotra said: “The court has acquitted all accused and concluded that the prosecution failed to prove the charge of conspiracy. It was a long-drawn trial, many of the witnesses turned hostile and, as per the verdict, the chain of evidence could not be proven.” He said the agency would study the judgment and then decide whether it can be challenged before the High Court. 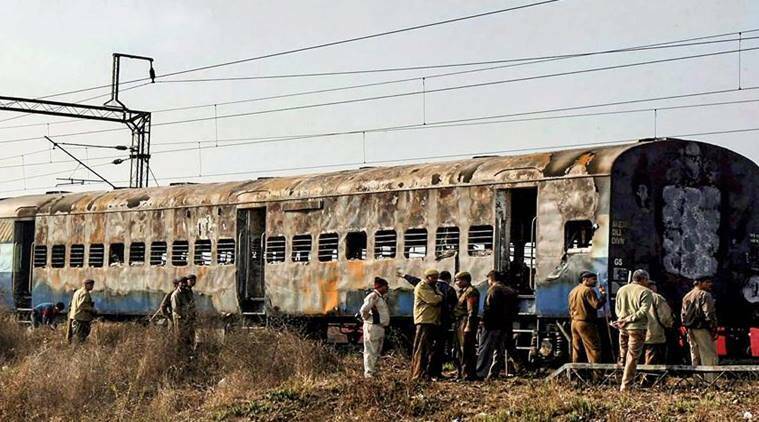 Sixty-eight people including 43 Pakistan citizens, 10 Indian citizens and 15 unidentified people were killed in the blasts which took place on the Attari-bound Samjhauta Express on February 18-19 night in 2007. Two explosions took place in two unreserved coaches between Diwana and Panipat in Haryana. Two bombs that did not go off were recovered later. Samjhauta express blast: A total of 43 Pakistan citizens were killed in the terrorist attack. Among the witnesses who turned hostile was Gujarat resident Bharat Bhai. The NIA had claimed that the alleged conspiracy meeting took place at his home. Others included witnesses who the NIA said were known to the accused and had knowledge of the conspiracy. The Pakistani witnesses never appeared before the trial court despite summons and communication through the Ministry of External Affairs. The NIA said the Pakistan government was approached three times with the summons but there was no response. Before the verdict, the court declined to accept the application of Pakistan resident Rahila Wakil, daughter of one of the victims, for permission to let Pakistani witnesses depose before the court, saying it was apparent that the application “is nothing but an effort to seek publicity in the name of espousing some noble cause and bare perusal of the records would reveal that application lacks bonafide and is apparently an effort to get the matter prolonged for reasons best known” to her. Along with Aseemanand, the three put on trial were Kamal Chauhan, Rajinder Chaudhary and Lokesh Sharma, lodged in Central Jail Ambala. Three accused, Amit Chouhan (Ramesh Venkat Malhakar), Ramchandra Kalsangra and Sandeep Dange, have been declared proclaimed offenders. Another accused, Sunil Joshi — the NIA called him the mastermind — was killed in December 2007 in Dewas, Madhya Pradesh. The trial began in August 2012 and was conducted on 132 days. Several judges changed during the trial. The last one — Additional Sessions Judge Jagdeep Singh — was allotted the case in August 2018 by which time most witnesses had already been examined during the trial. The NIA had said Aseemanand was the main ideological support behind the conspiracy and had provided some financial support to those who carried out the attack. 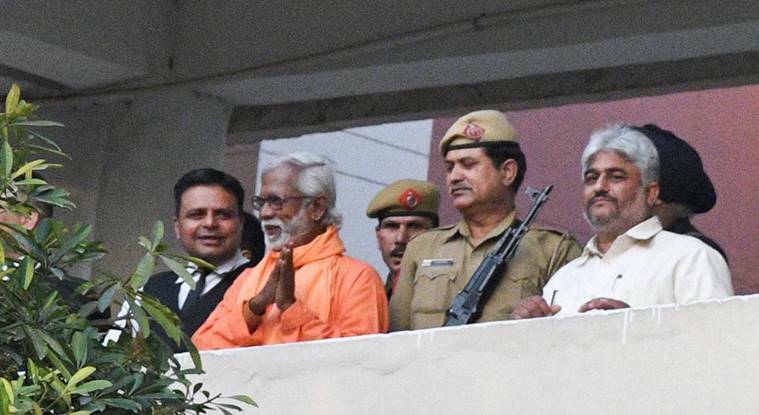 The agency said Aseemanand was “quite upset” with “Islamic Jehadi terrorist attacks” on Hindu temples like Akshardham (Gujarat), Raghunath Mandir (Jammu) and Sankat Mochan Mandir (Varanasi) and he, along with his associates, “developed vengeance” against the Muslim community. The NIA claimed it was Aseemanand who came up with “bomb ka badla bomb”.